Hear the Call of the South! Summer arrives and the masses of city dwellers flock to the beaches. It is important, however, not to forget the many other serene gems that Chile has to offer for short trips, such as rivers, lagoons and lakes located in the South. CHILE – The IX Region is best known for its bustling touristic hot spots, however, there are hidden gems about which not everybody knows. These small localities are beautiful spots to visit and are yet to be fully discovered. This region, with its rivers and lakes, is quiet and peaceful, yet brimming with activities. Visitors can spend days out by taking strolls alongside the lake’s bank and visiting nearby rivers. These spots offer ideal get-away opportunities for picnicking, reading, swimming, skimming stones and for just being. If you are keen on fishing, there are plenty of places in the IX Region and in some spots even boats to rent for the day. Coñaripe and Lican Ray are two small towns by the Calafquen Lake. Both peaceful and calm areas offer camping on the lake shore. You can also fish, swim, rent jet-skis and practice aquatic sports. Moreover, the stars at night are exceptional and worthy of a visit in themselves. Pellaifa Lake is a small lake and it’s of glacial origin. Its main attraction are its thermal springs and beautiful crystal waters. Villarica is a town and commune that has a lake with the same name. This is the best known area in the region, since it is where Pucón was founded. 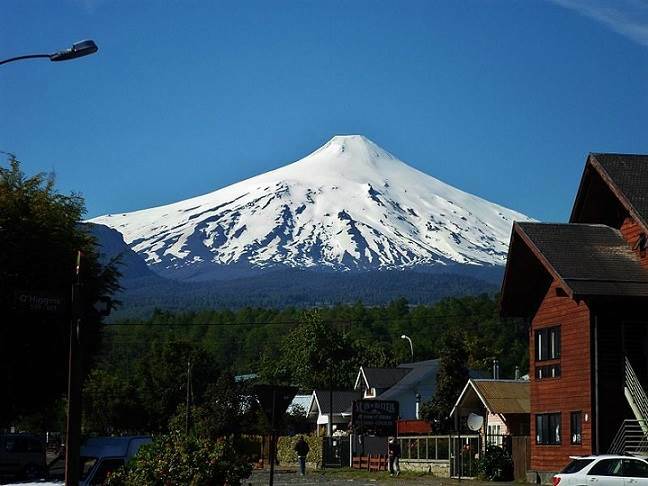 This is the most visited area due to its many touristic attractions, such as the Enjoy Pucón , Villarrica volcano, several national reserves and thermal springs and it has a stunning central square. Also here in Villarrica and Pucón you can do canopy, rafting, ride horses or trekking. Valdivia is well-known worldwide due to hosting the most powerful earthquake ever recorded in human history. Besides this, it is famous for its classic architecture, its surroundings of rivers, peculiar wild flora and fauna. Also in Valdivia there is a very famous brewery called Kunstmann where one can take a tour and taste several kinds of delicious beer. Without a doubt, if you are traveling or staying in Chile, the South is a must for a trip. There are marvelous places to discover and differing cultures to relish in.